With a unique design this chrome ceiling flush will turn heads and bring style to your home. 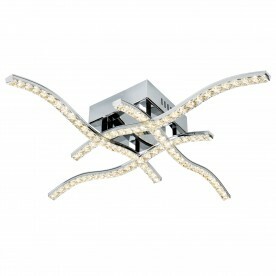 The lights sit within 4 slightly curved cross over arms decorated with a clear crystal trim. 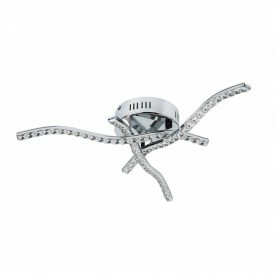 It brings an air of style and contemporary glamour that is suitable for a chic home setting. The square chrome base can be easily attached to your ceiling.